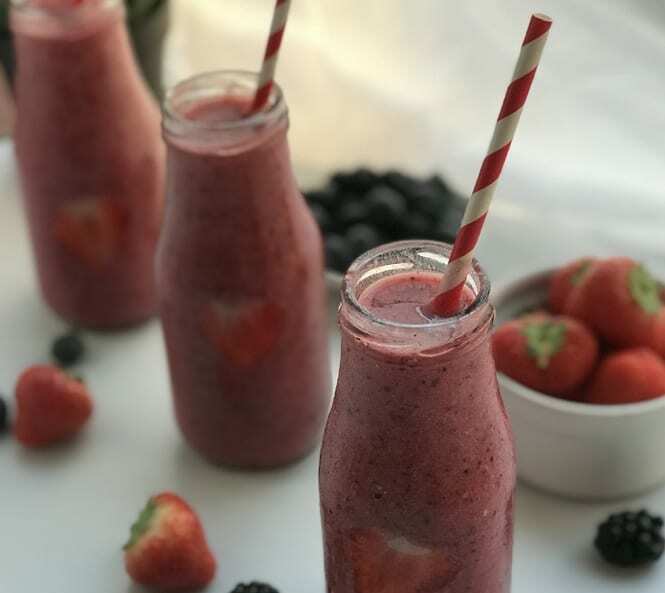 Have a fresh start to your day with our Mixed Berry Smoothie! It’s never been easier to get your vitamins in–just drop a Ripened Avocado Half into the blender alongside bananas, berries, coconut yoghurt, and fruit juice and let the blender work its magic for you. You’ll feel satisfied and energised throughout the morning after just one serving, which you can drink during your morning commute if you’re strapped for time! Place berries, banana, coconut milk, coconut yoghurt in a blender, letting the avocado slightly soften before blending. Add in more milk depending on your desired consistency.